Guest Post from Riana Everly - Lenses and Prisms and Crystals, Oh My! Thanks so much for inviting me here today as I talk about my new book, Through a Different Lens. In this book, two of my characters sit on the autism spectrum and they see the world rather differently than do most people. In that light, I thought I’d talk a bit about, well, light, and how we see it, and how it reflects on Mr. Darcy. In Through a Different Lens, Mr. Darcy has some particular interests as well, one of which is the study of lenses and related items such as prisms and crystals. He has an entire workshop in his house dedicated to his study and collection, and it is there that he teaches Lizzy’s cousin and his friend to make the periscopes they use for a game in the park. It is also there that he keeps the crystal butterfly he had commissioned for his sister, and which entrances Elizabeth so much. It’s easy, really, to understand Darcy’s fascination with these optical tools. They can literally change the way you see the world! Anybody who wears corrective glasses can appreciate the value of these simple slips of glass, for, by bending light and changing the focal point, they allow us to see clearly where otherwise the world would be a blur. The earliest lenses were polished pieces of natural crystal, which could be used to magnify images or concentrate sunlight to start a flame. The oldest such lens that has been found is the Assyrian Nimrud lens, which dates back to about 750BCE. Similar lenses have been found in Babylonia, Egypt, Greece and Rome. It was not until the Middle Ages, however, when people began crafting lenses from glass. Reading stones were similar to these ancient magnifying crystals, and were used to enlarge the appearance of script on a page. Eyeglasses were first developed in Italy in the late thirteenth century, when two reading stones were set in frames that balanced on the bridge of the nose. Prisms are related to lenses but work differently. Rather than focussing light, the angled flat surfaces of prisms splinter white light into its component wavelengths, resulting in rainbows. Prisms can also be used to reflect light and to shift the visual field. 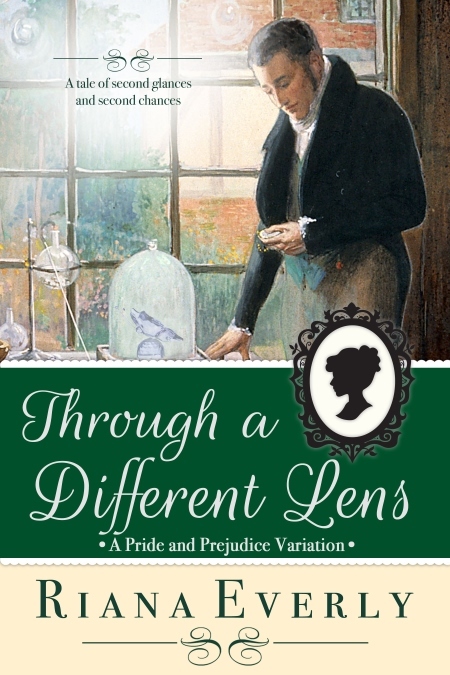 Where Darcy is fascinated by such theoretical details as refractive indices and dispersion, Elizabeth is entranced by the beauty of the refracted light—the rainbows. Lead crystal is often associated with prisms because of its refractive index, which is significantly higher than that of regular glass. In everyday language, that means it sparkles and shines and sets off little rainbows more than glass. The gem of Darcy’s collection, at least as far as Elizabeth is concerned, is the crystal butterfly he had made by an artisan in Ireland. Ireland had become the centre of European lead crystal production in the late eighteenth century, after the British government granted it free trade in glass without taxation. Waterford crystal is still world-renowned for its quality and beauty. It only makes sense, then, that he would go to the experts in commissioning a birthday present for his sister. He opened the glass doors to a large cabinet that had been built to the specifications of the room, for it filled the space exactly and stood to its advantage in the full rays of the afternoon sun. On a set of shelves sat a bewildering collection of strangely shaped pieces of what looked like glass. Most were triangular or pyramidal of some description; others were the familiar tear-drop shapes found in the chandeliers of the finest homes. As the bright light streamed through the clear window, each beam filtered through the dazzling variety of glass and crystal and splintered into a thousand colours of bright rainbow light. The effect was marvellous and Elizabeth felt she had wandered into a magical realm. As she gaped at the spectacular array of prisms, Mr. Darcy picked up one of the prisms and passed the precisely cut shape to Elizabeth. She held it in her hands and examined it. It was small—little more than an inch long—with a triangular base but square sides, and completely clear. “It’s lovely,” she whispered, watching ripples of light and odd half-reflections in the small facets of the item. And as her hand tilted the small object to just the right angle, a tiny, perfect rainbow appeared on the wall opposite. “Oh!” she gasped in delight. Whilst the array of splintered light in the cabinet was stunning, how much more exquisite was this one, singular and perfect spectrum upon the far wall, created for, and by, her. She raised her other hand and held it immediately behind the prism and laughed as the rainbow danced upon her own flesh. “Beautiful, is it not?” he smiled in return. “Look at this one,” he continued, handing her another, and then another, all of which she examined with delight as she turned them and tilted them in the sunlight, cooing at the variety of rainbows they produced on the dark walls and other surfaces of the room. “You have surely heard of the atelier in Waterford in Ireland, where some of the best cut glass and crystal are produced.” Elizabeth nodded, unsure how this topic related to the previous one, if at all. “I travelled there two years ago, and commissioned a work for my sister, for her eighteenth birthday. It has recently arrived, and I have it safely at Pemberley, where I shall keep it for the next two years until she reaches that age, but I wish to show you something else.” Elizabeth screwed her forehead in confusion, but said nothing. There must be a purpose to this diversion. Mr. Darcy moved to the shelves at the far end of the cabinet, and opening the glass doors, removed a small wooden box from the top shelf. He handed it to Elizabeth. “Open it,” he whispered. captured the light streaming into the window and sent it exploding in a hundred different directions, lighting the butterfly from within and sending a myriad of tiny rainbows around the room. Even the boys looked up from their tasks to marvel at the display. Elizabeth did not know what to say and blushed before finding her tongue. “You seem to have acquired a facility with words, Mr. Darcy,” she attempted to tease lightly. Through a Different Lens is available to buy now! If you prefer not to use Rafflecopter, send Riana an email message (riana.everly@gmail.com) or leave a note on her Facebook page, and she will add you to the list for the draw. I love this excerpt. Darcy admitting his admiration of Elizabeth and she understanding more about him. I do like the way she recognised the difference between how he seemed and how he actually was. He's definitely somebody she gets to know through his deeds rather than his words. This glimpse into his workshop is a glimpse into his mind, and she's not too upset at what she sees there! Glad you enjoyed it, Glynis. I love the idea that she would look below the surface and try and understand him. This sounds SO intriguing! Thanks for the chance to win a copy! When you read it, I hope you enjoy it! Good luck in the draw. Hi Pamela. It's an interesting idea for a variation isn't it! I do love that there are characters with other abilities represented in this P&P variation. Definitely want to read it. Hi Sophia. It's an interesting idea isn't it. There would certainly have been people with autism back then, though I imagine they would have tried their best to conceal it. This sounds so very interesting. I am looking forward to reading it. I really enjoyed getting to know this Mr. Darcy. I do hope you love the story. I hope you enjoy it when you read it Deborah Ann. I read this on a fan fiction site and would love to own my own copy in order to reread and post a review. Thanks for a chance to win. Thanks! Good luck on the draw! Glad to hear that you enjoyed the story and would like to read it again, Sheila! What a beautiful cover and what a delightful excerpt. I was captured immediately. How amazing... I'll never see crystal or prisms in the same way again. It makes me want my own crystal butterfly. Thanks Ceri for hosting and thanks to Riana for the generous giveaway. I have this on my wish list and would love a copy. I can't take credit for the cover, but I'll give a shout out to my amazing cover artist, Mae Phillips, for her beautiful work. I'm glad you enjoyed the excerpt, and may there be rainbows wherever you go! Good luck in the draw. It's a wonderful except, isn't it! As a person who needs glasses I take lenses for granted, but the first time I wore my glasses as a kid I couldn't believe the difference. I love prisms too; who wouldn't love to be able to make your own rainbows! Oh,what a lovely excerpt! What a very interesting premise and I think the title quite clever!! Best of luck with your book,Riana. Thank you so much! 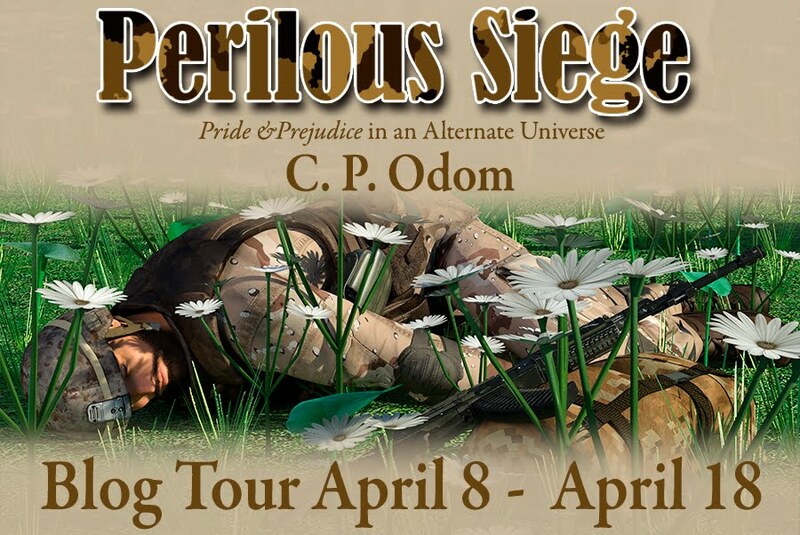 Having a child on the spectrum, I saw so many of those traits in Mr. Darcy. He sees the world through a different lens, but Lizzy learns to see him differently as well. I had a lot of fun with this book. Hi there, Mary! It's a good title isn't it. I love it when a title works for multiple reasons. This is an interesting twist and I think Matthew Macfadyen’s approach opened the possibilities to a lot of interpretations. Good luck with the release! Thank you! I admit to only having seen that version once, a very long time ago. 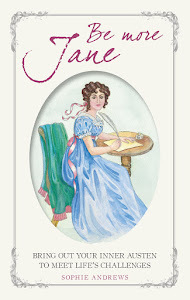 The real inspiration for this take was Jane Austen herself, and some of the words she puts in Darcy's mouth! I hope you enjoy the book!